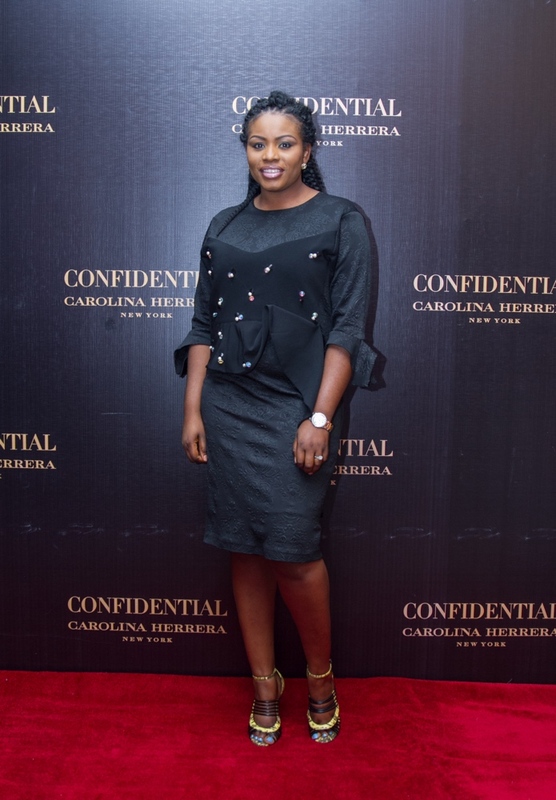 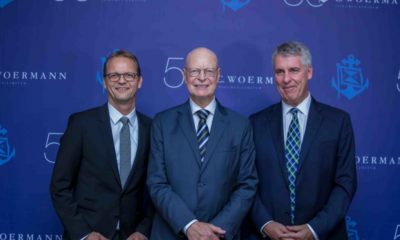 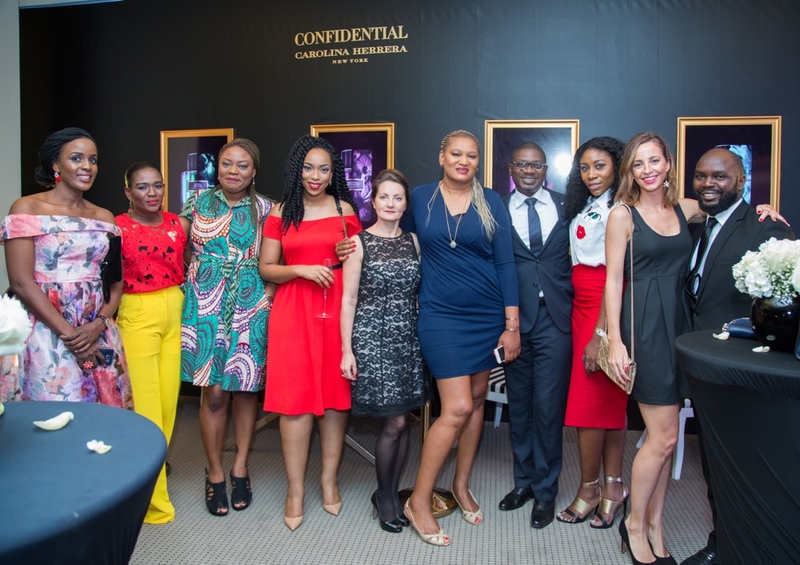 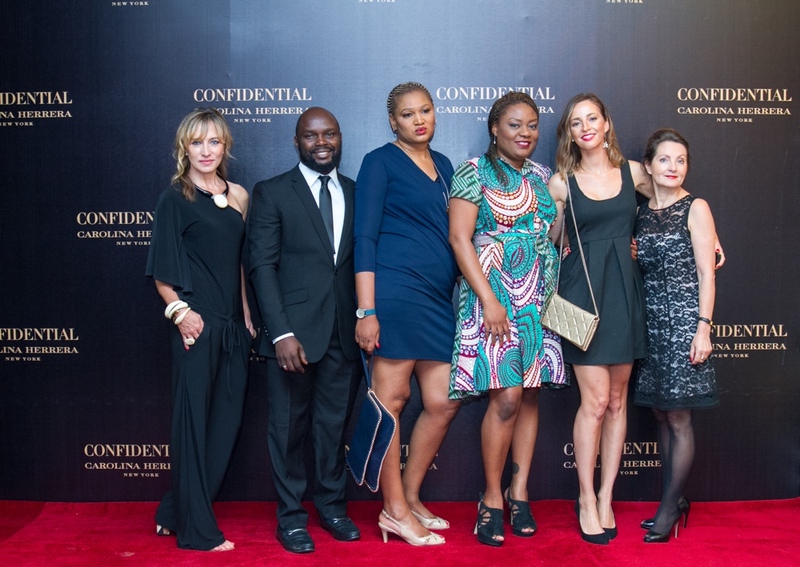 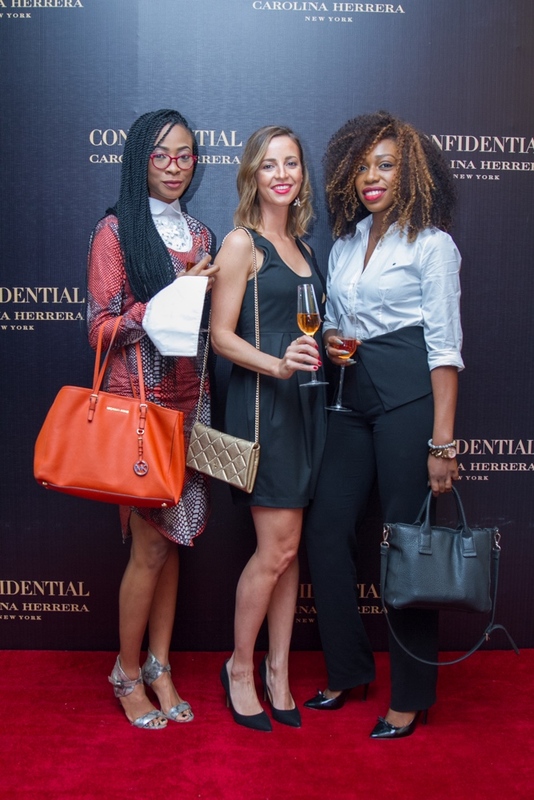 Carolina Herrera introduced the House of Herrera to Lagos, Nigeria on the 15th of September, 2016 with an exclusive event for the first African launch of her new fragrance line, Herrera Confidential at The George Hotel, Ikoyi, Lagos. 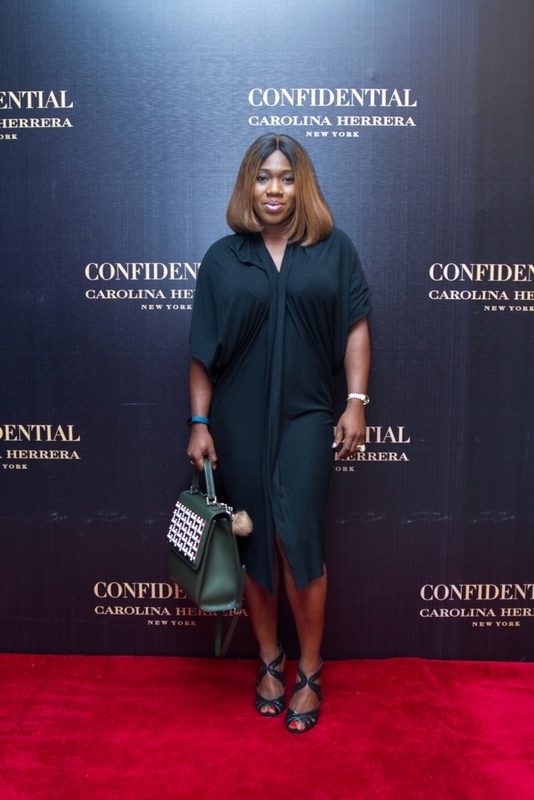 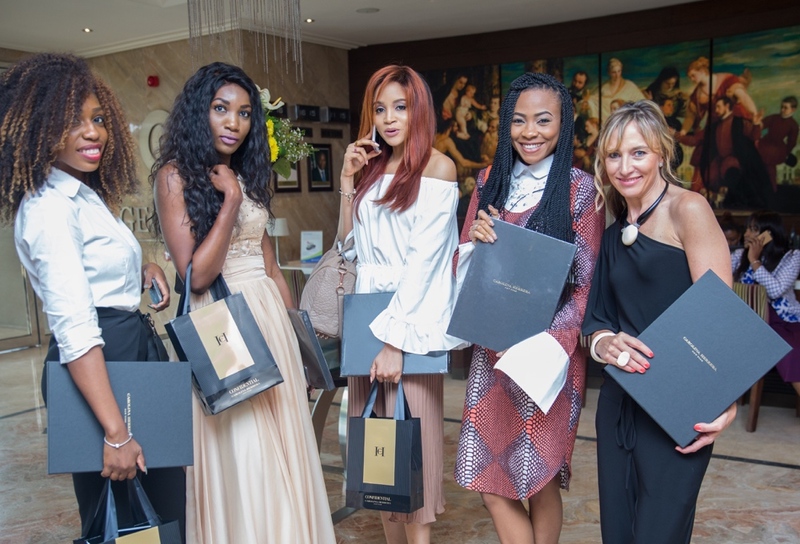 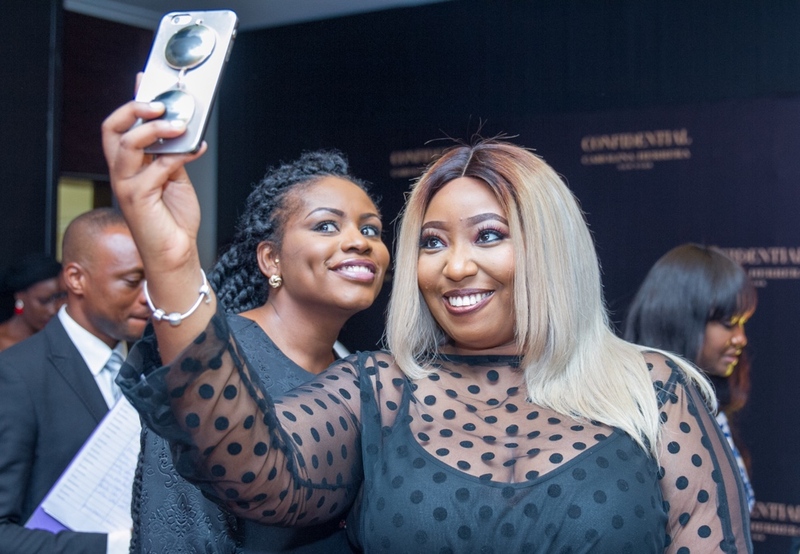 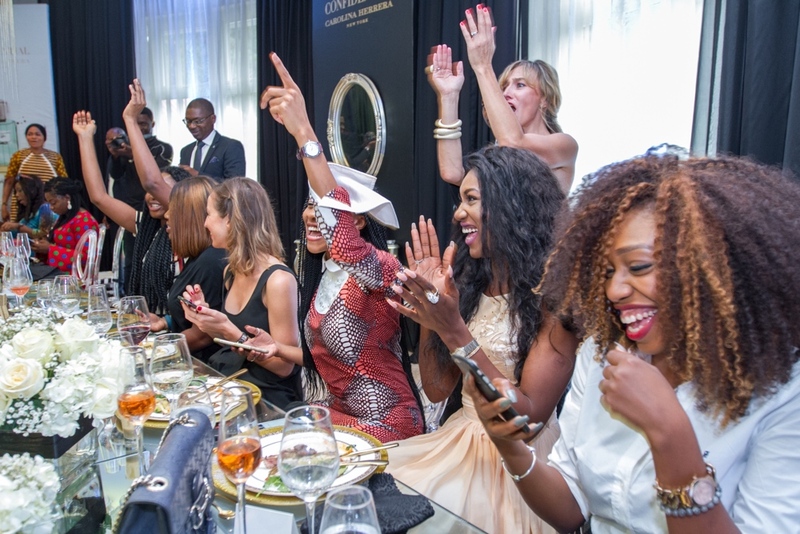 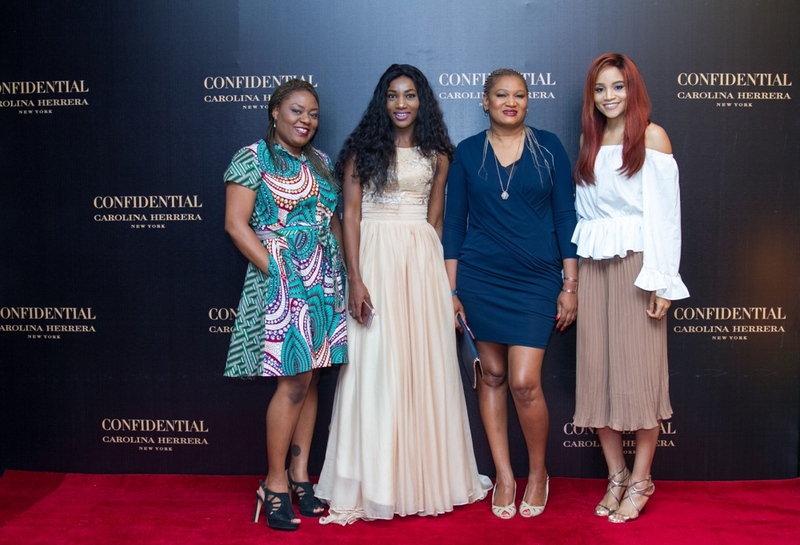 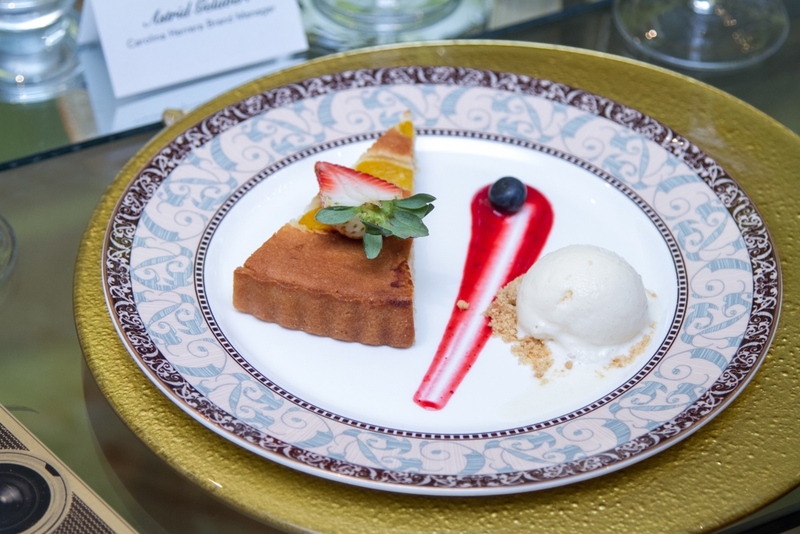 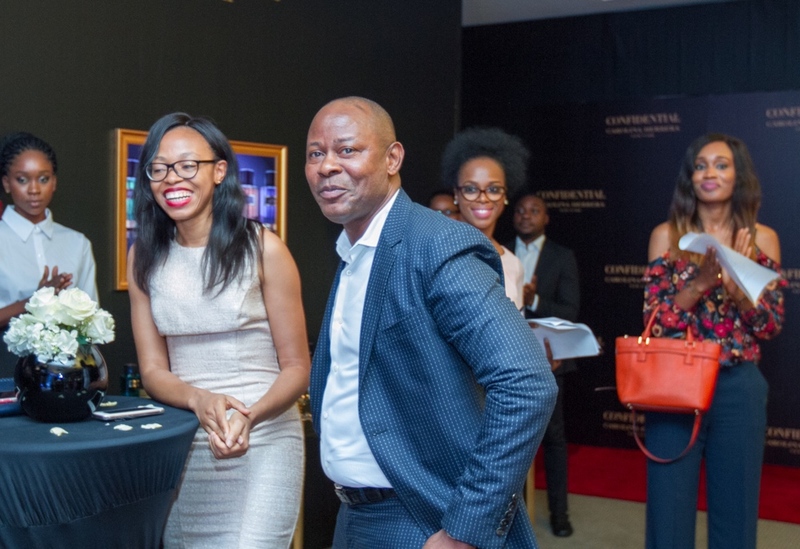 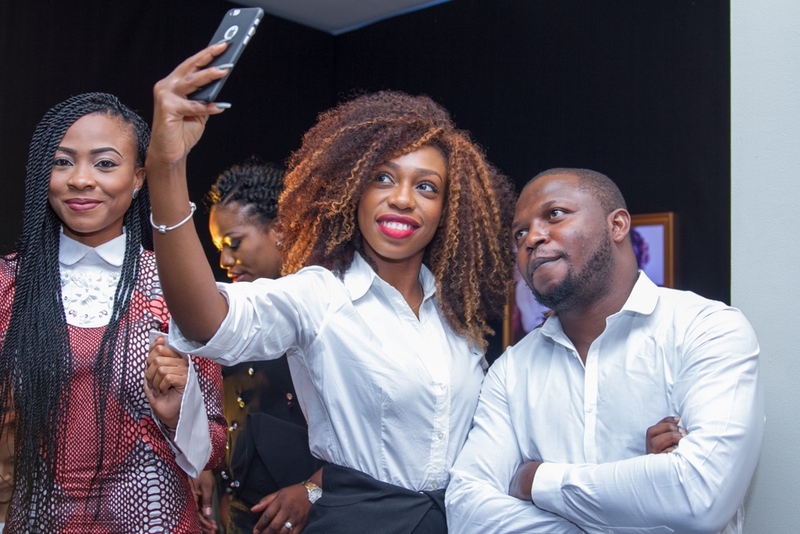 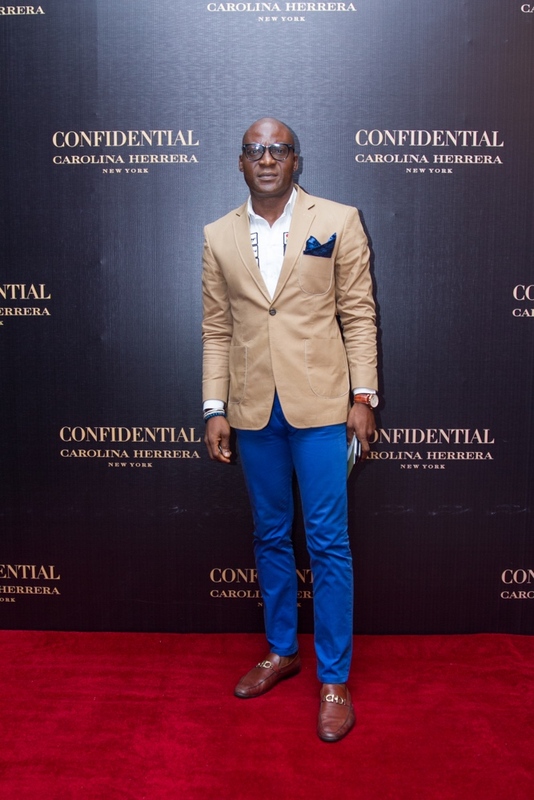 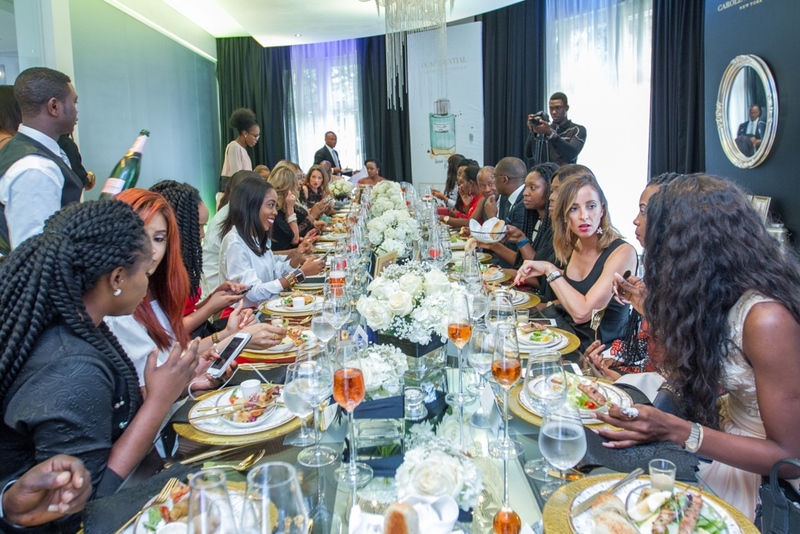 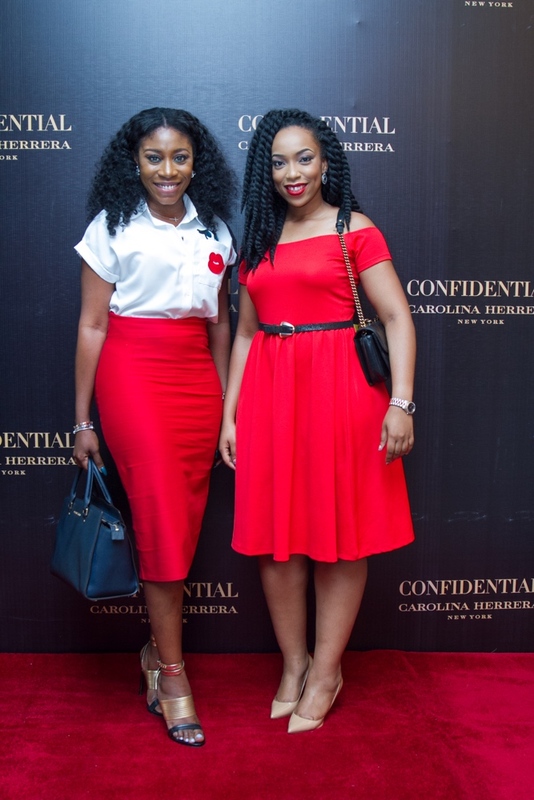 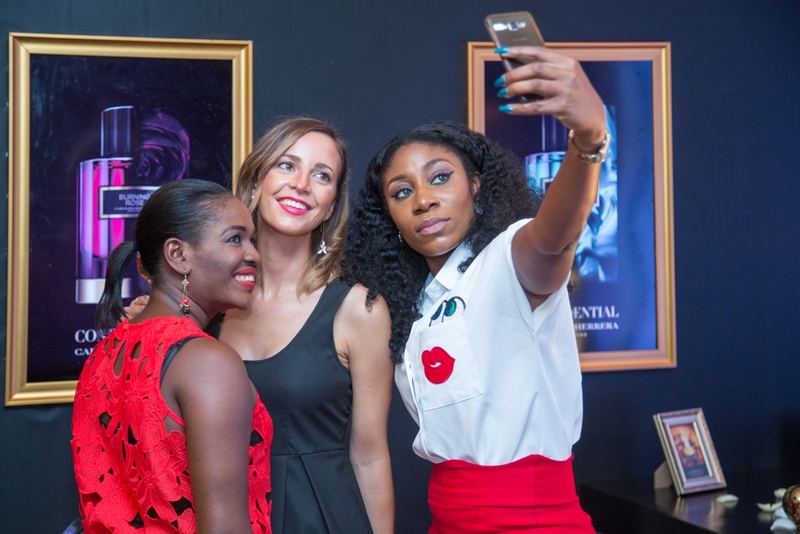 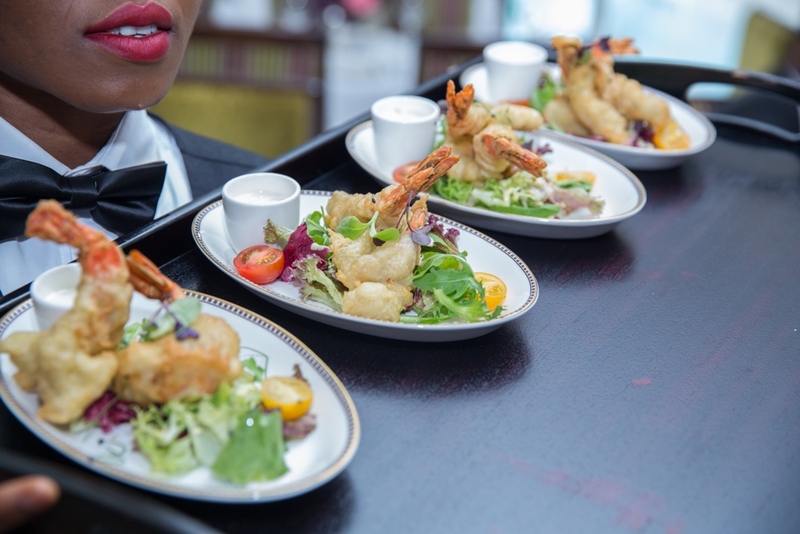 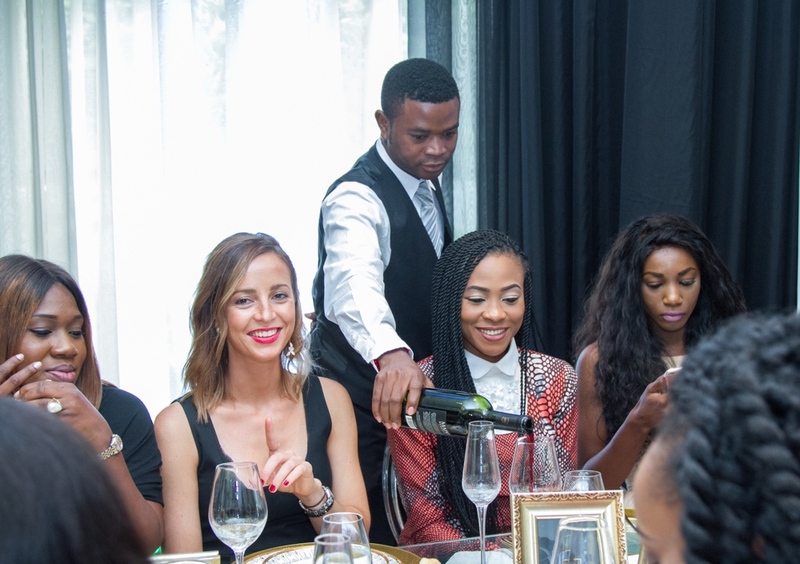 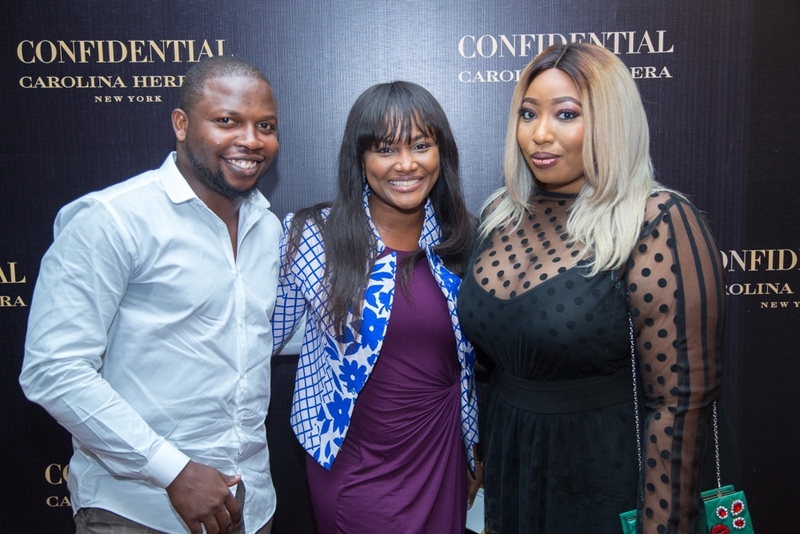 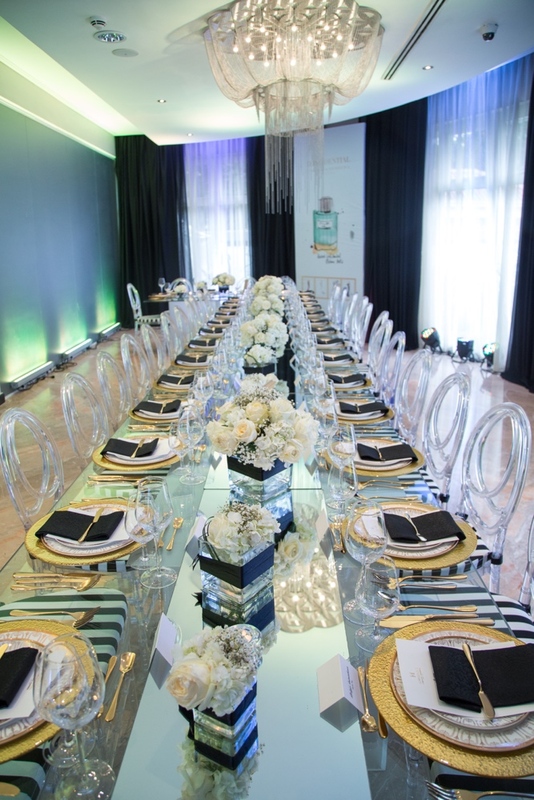 With Lagos’ most stylish media influencers and renowned journalists in attendance, the gorgeous hostesses dressed in the brands signature style received and ushered guests to the opulent world of Carolina Herrera to discover her personal story, as well as the unique signature of Herrera Confidential. 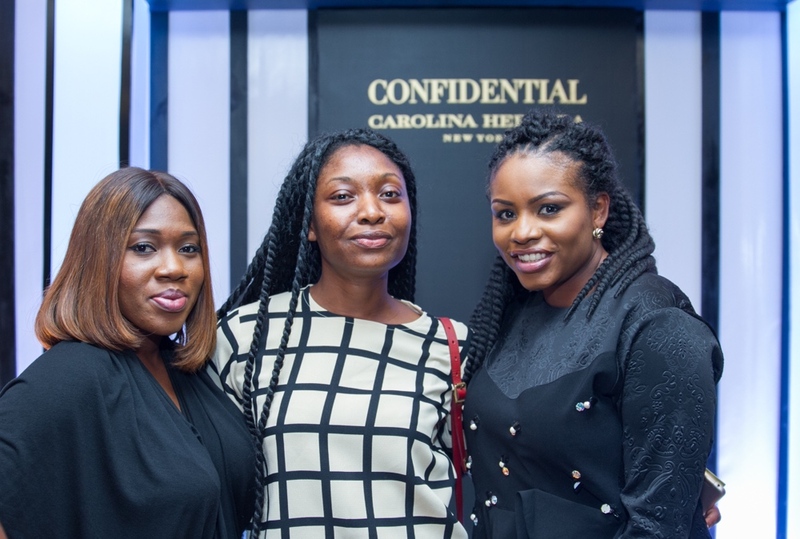 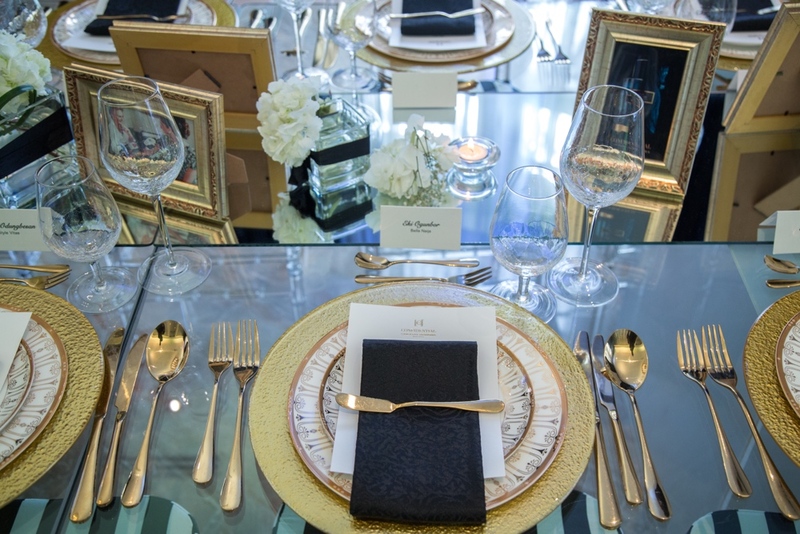 The stylish guests sipped on some bubbly and cocktails in the experiential room true to Carolina Herrera ethos. 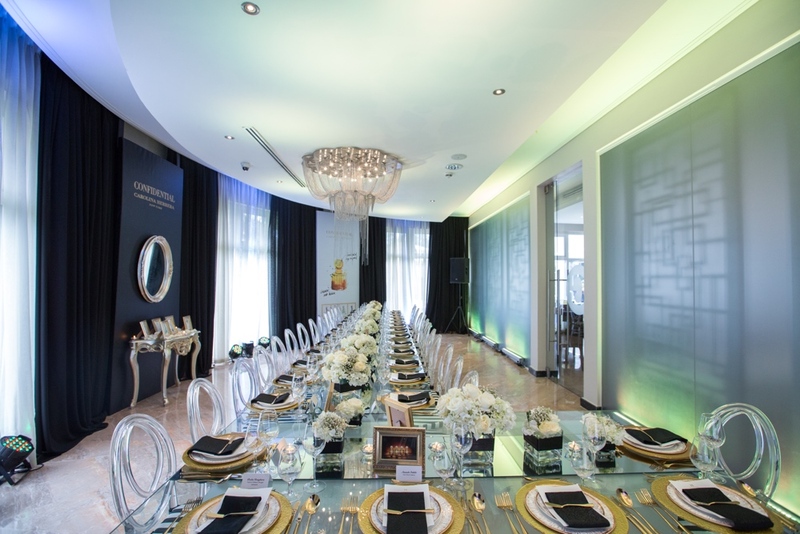 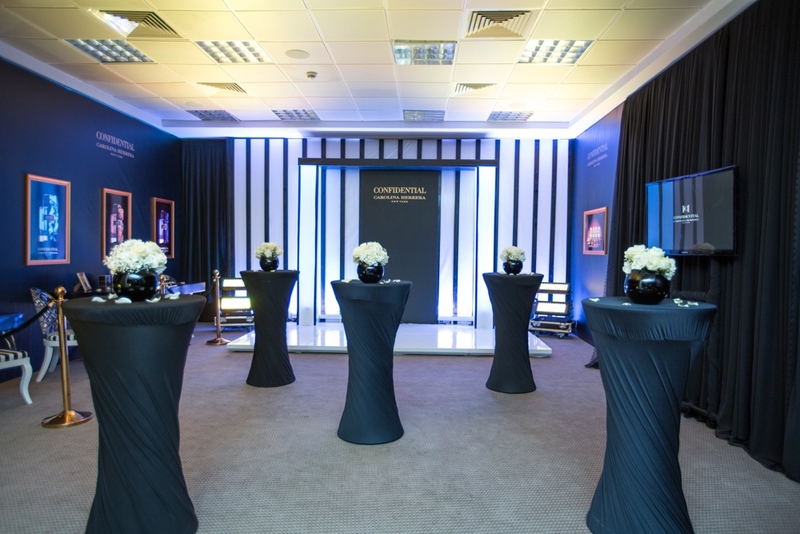 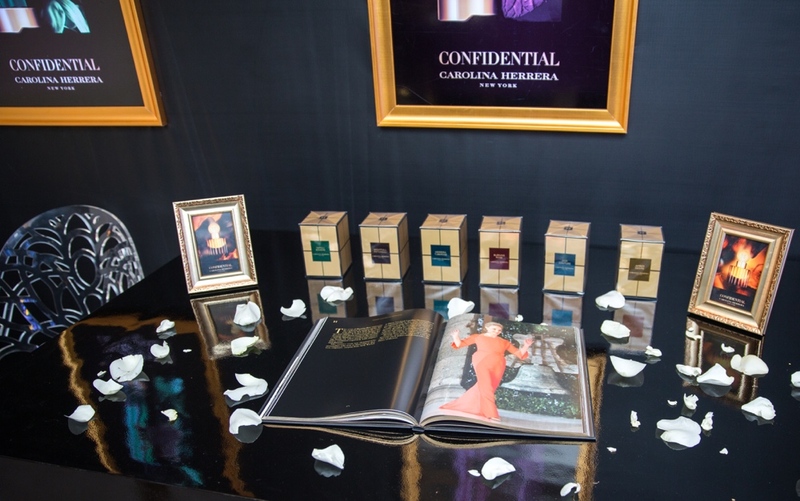 From the red carpet, to images of Carolina Herrera and Carolina Herrera de Baez, sketches of Carolina Herrera dresses, the 6 fragrances lining the walls, as well as 100ml bottles of the fragrances and their key raw ingredients; the experiential room was indeed reminiscent of Carolina Herrera’s personal style. 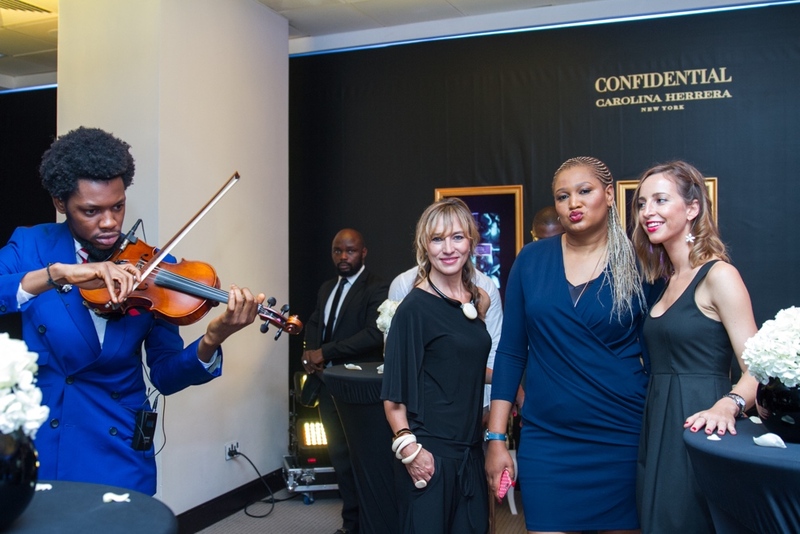 The event kicked off with violinist Godwin Strings serenading the crowd and gathering everyone’s attention. 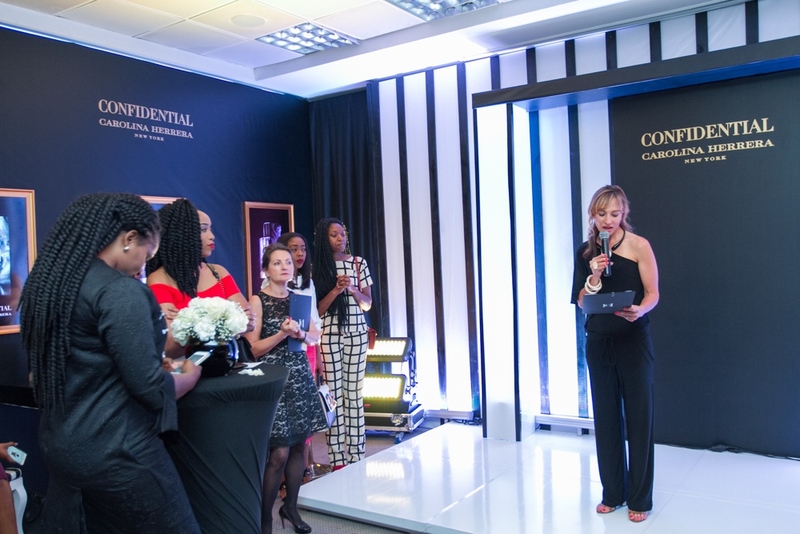 Following his performance, Linda Angelos; Sales, Marketing Director and Stakeholder Ella Afrique gave the opening remarks and introduced her team. 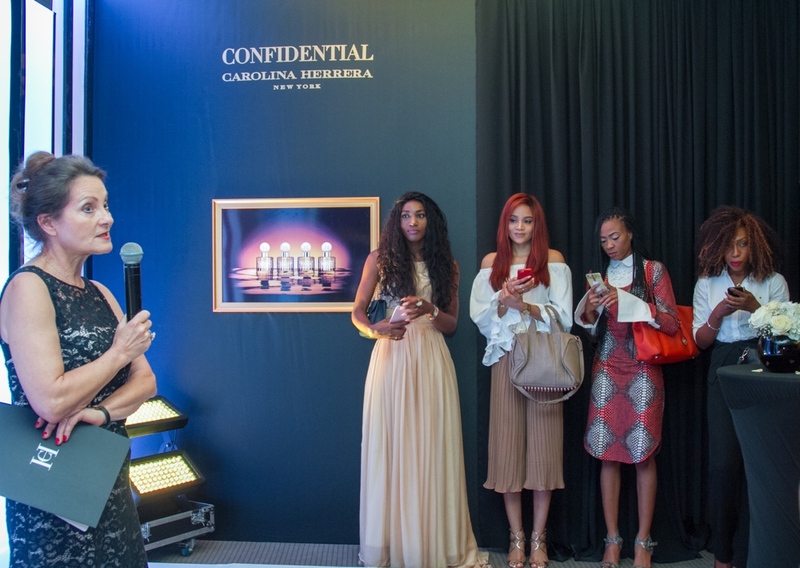 Linda went further to introduce the Carolina Herrera Brand Manager; Astrid Gelabert and Carolina Herrera Brand Expert; Emeshe Nencov. 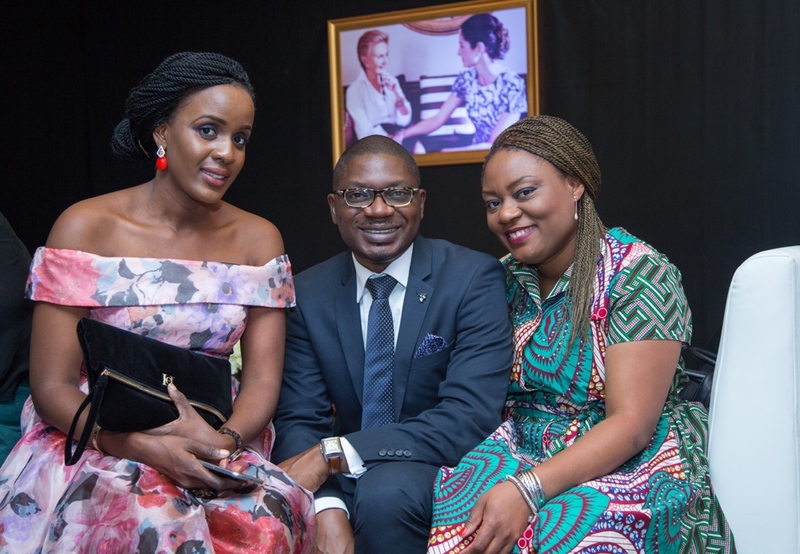 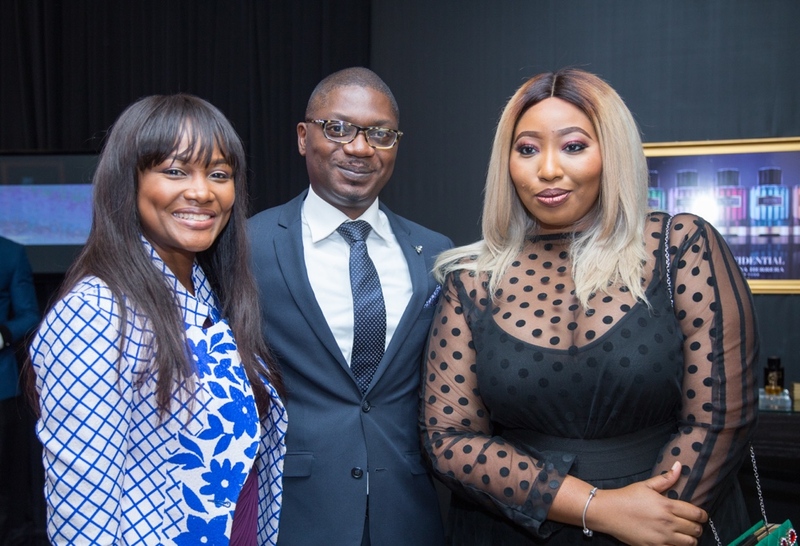 Linda acknowledged the presence of and thanked her Nigerian business partner Kayode Kasumu, CEO Essenza and his daughter who’s a vital part of the business, Abiola Kasumu. 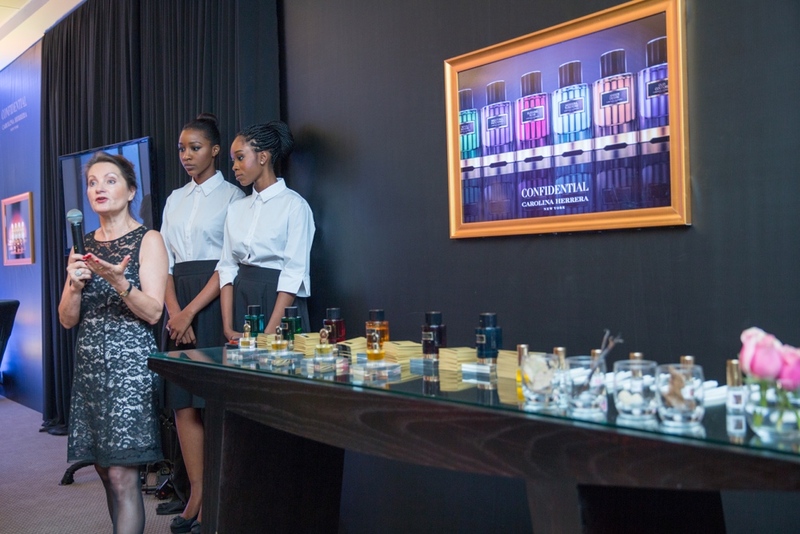 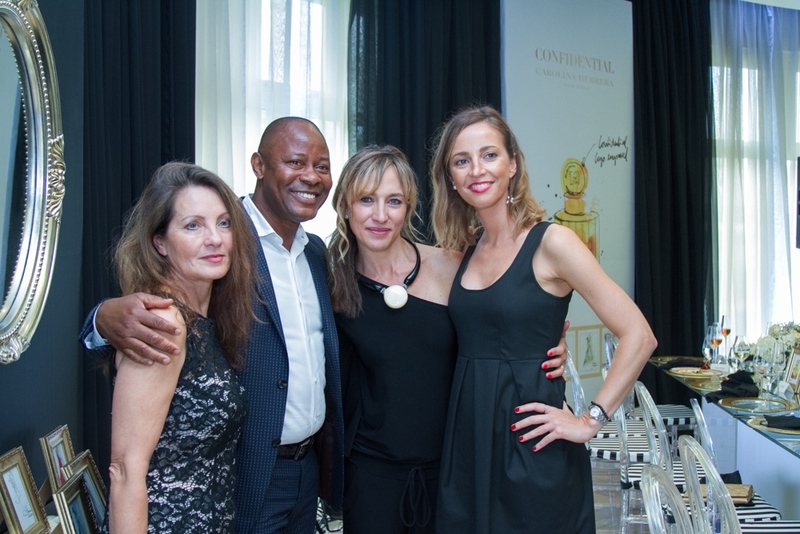 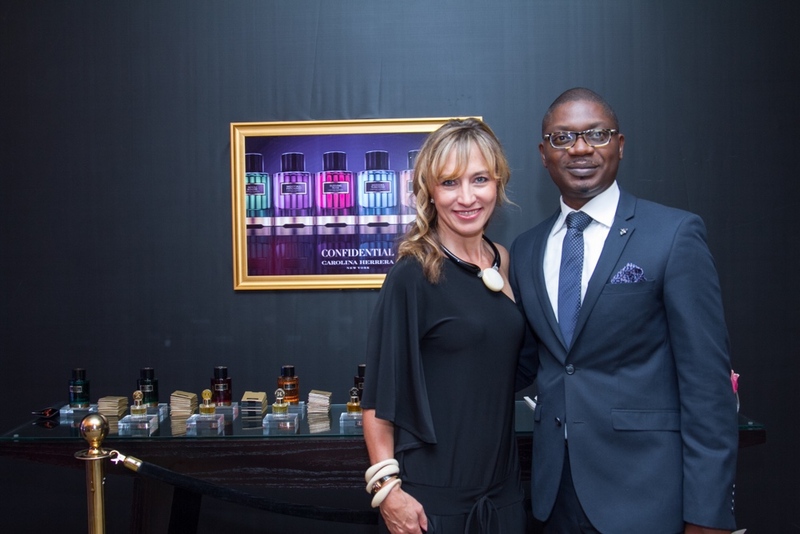 Following the video, Linda reintroduced the Brand Expert; Emeshe Nencov who took the guests into the private world of Herrera Confidential by demonstrating how to mix the fragrances and accompanying oils to personalize it for themselves. 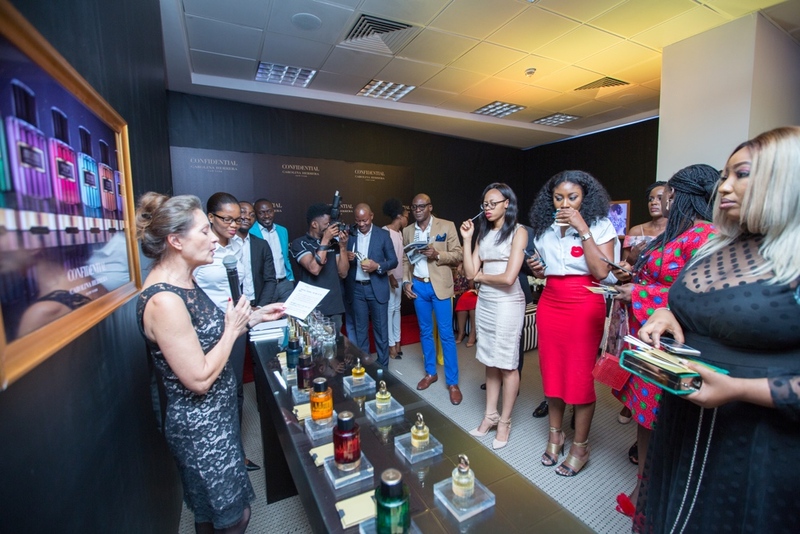 Featuring six fragrances and four essentials oils of the finest quality and purity, the natural-based scents are intended to be used on the skin individually or mixed to personalize the fragrance experience. 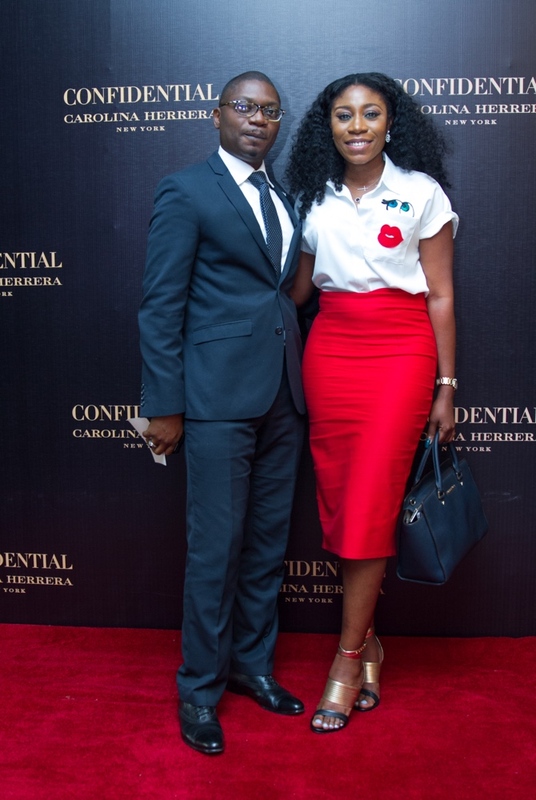 Kayode Kasumu, CEO Essenza and his daughter Abiola Kasumu. 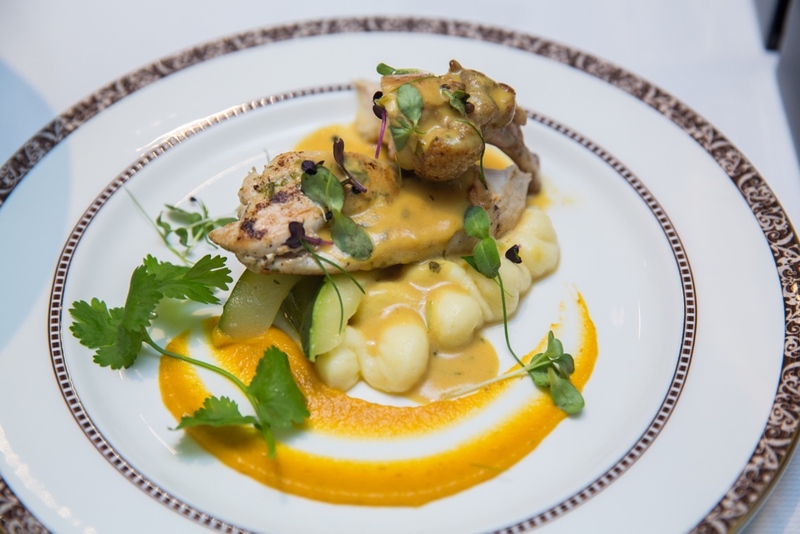 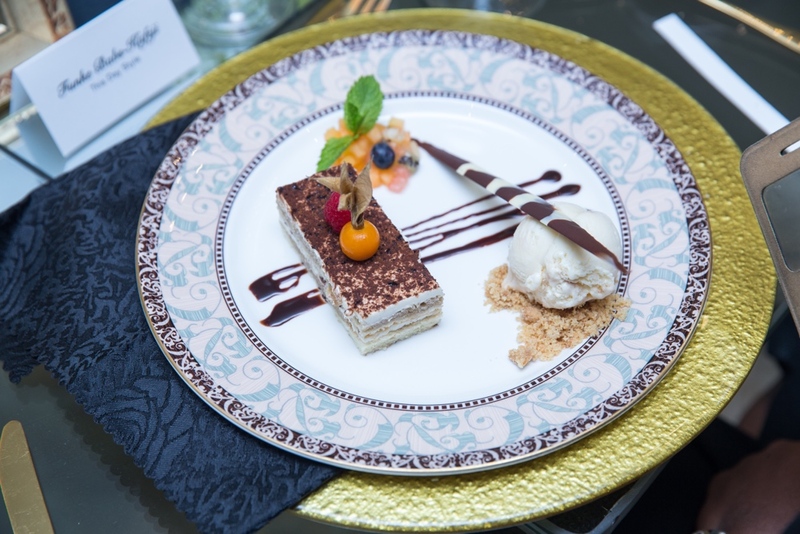 It was an afternoon guests will not forget as they were led into the breath taking private dining area for a delicious 3 course meal. 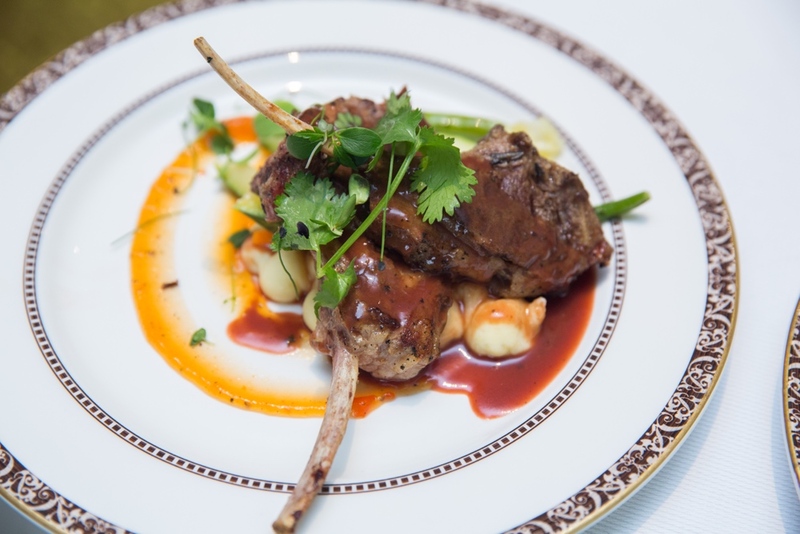 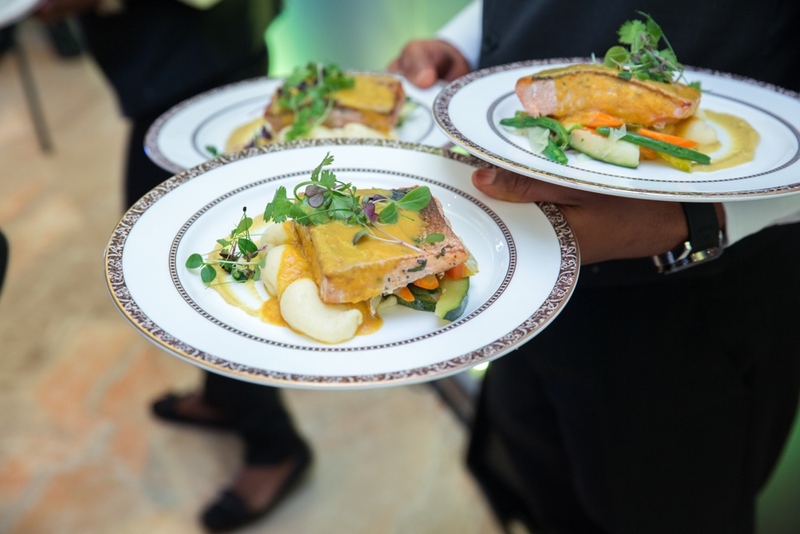 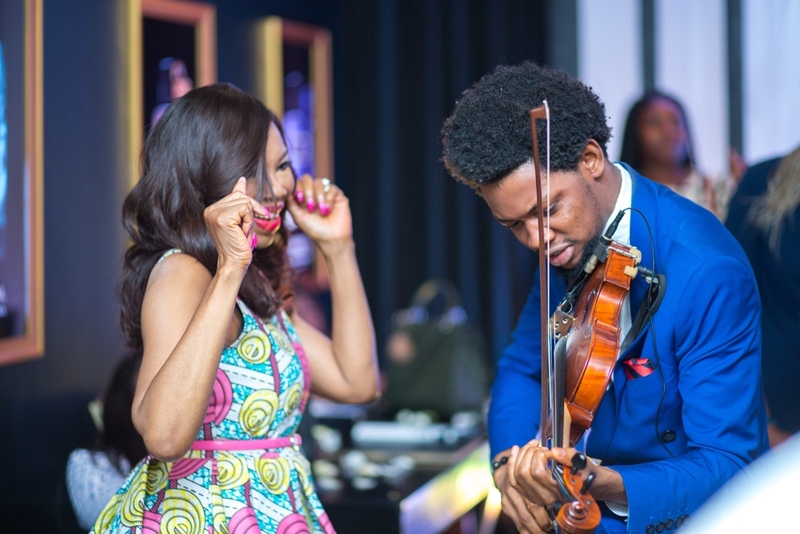 The highlight of the event was Godwin Strings, who once again serenaded guests who thoroughly appreciated him and had such a great time they abandoned their meals to dance. 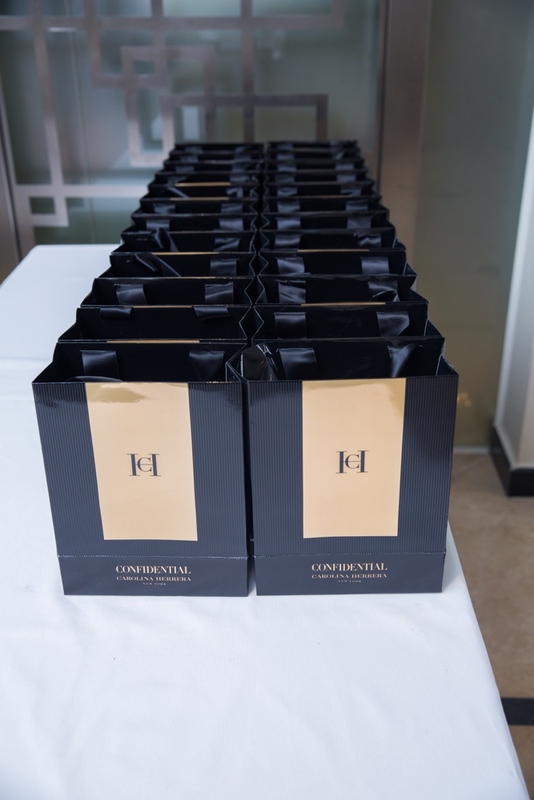 On their way out, the fashionable guests parted with exclusive gift bags containing Herrera Confidential fragrance bottles, the essential oils for each fragrance as well as Carolina Herrera coffee table books courtesy of the brand. 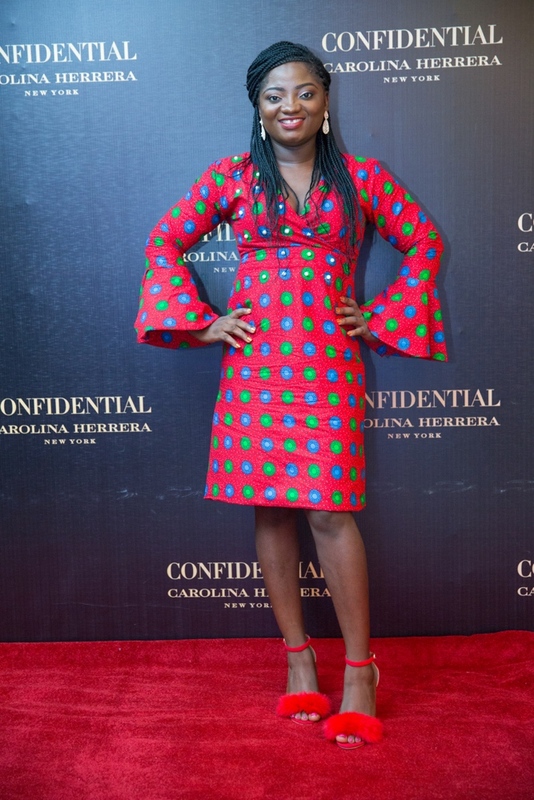 Nice one from Carolina Herrera and daughter. 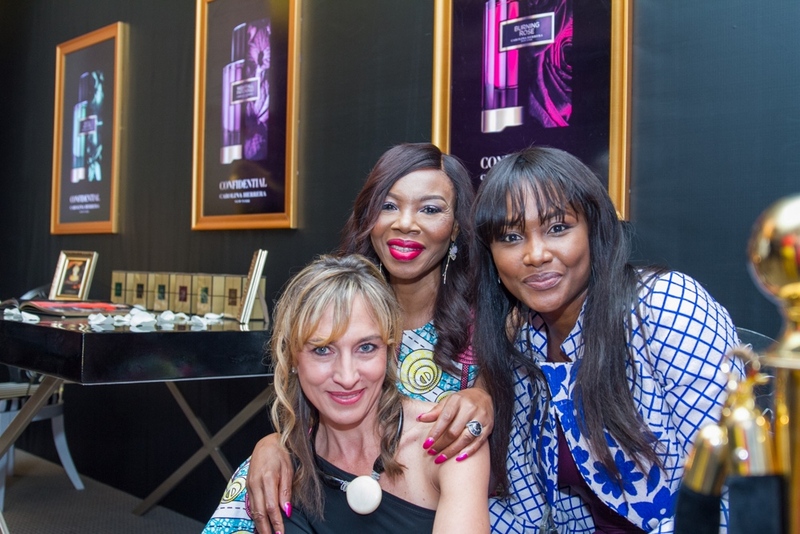 Nigerians sure do love their fragrances. 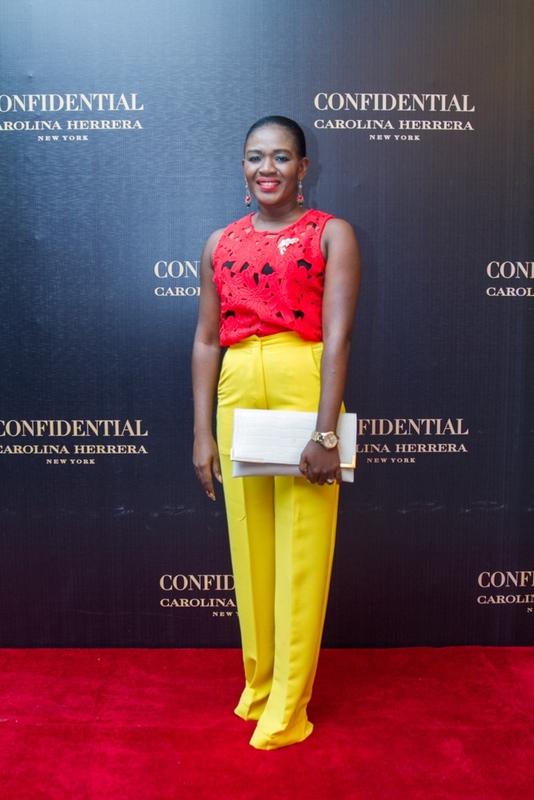 Ezinne Alfa is bae ? 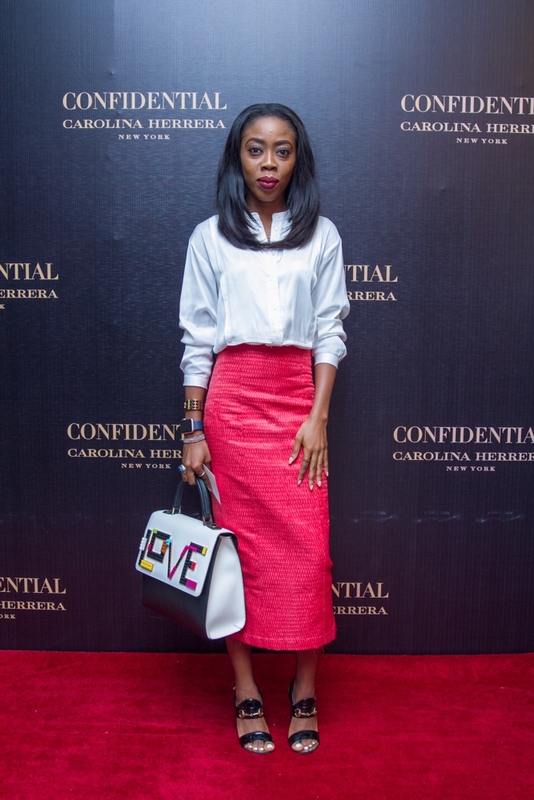 I love her style. 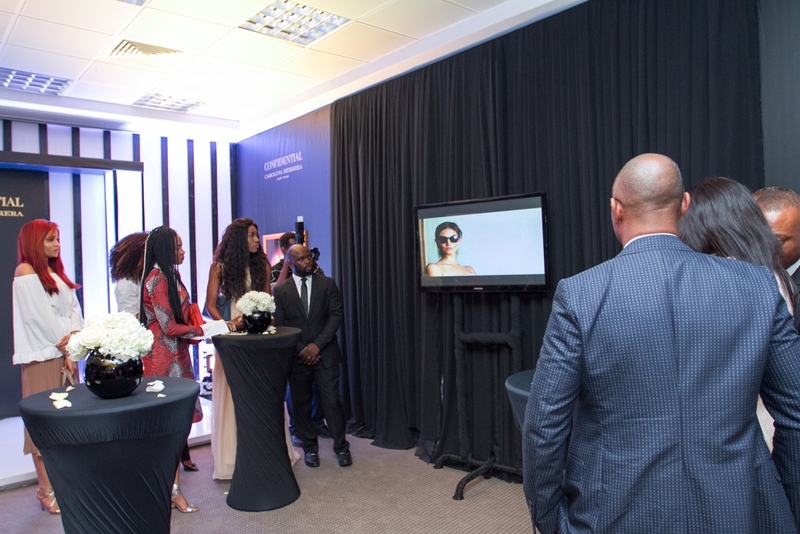 An exclusive crowd for an exclusive brand launch. 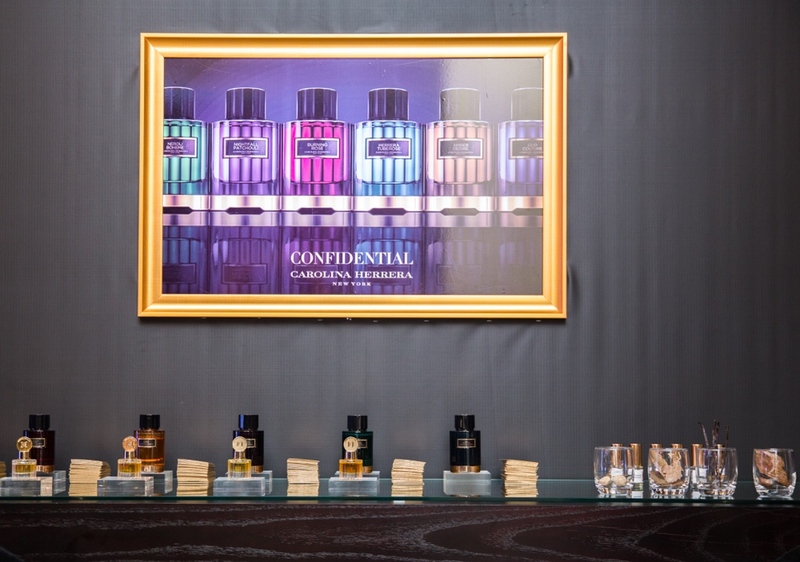 I wonder if there is an oriental scent within the collection. 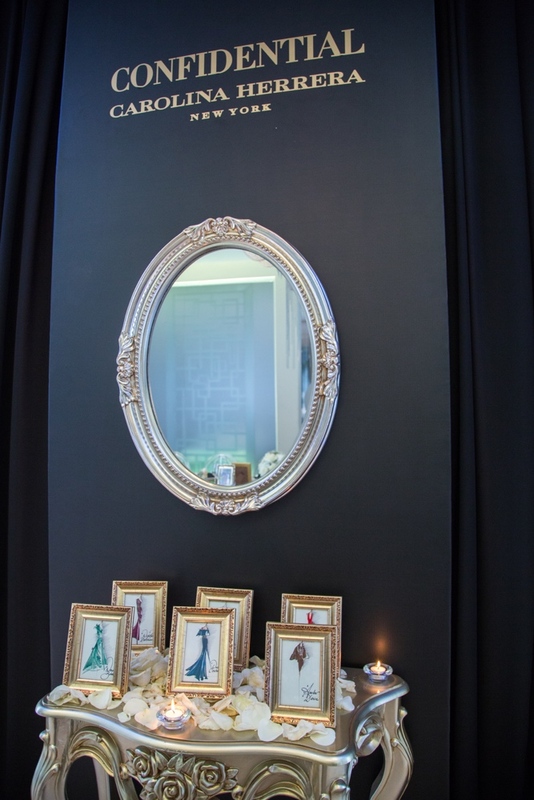 I need one in my life! 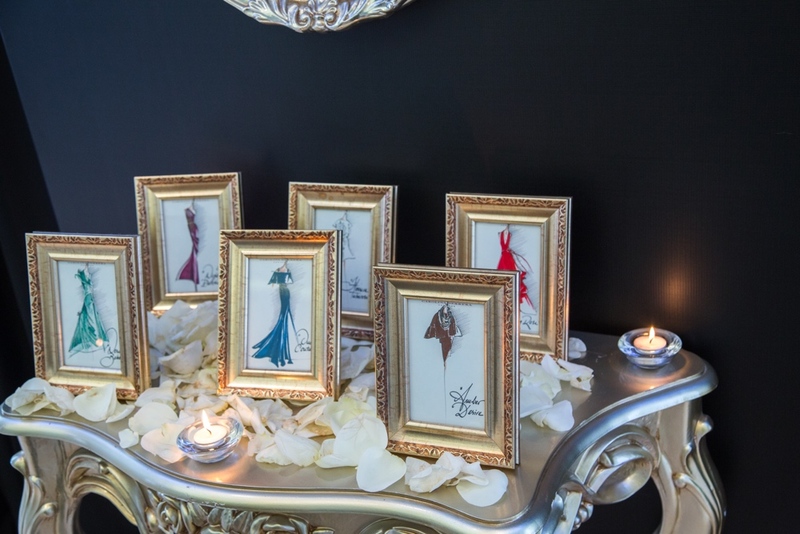 I guess nobody is “wearing her” that’s why she’s worth over $100m. 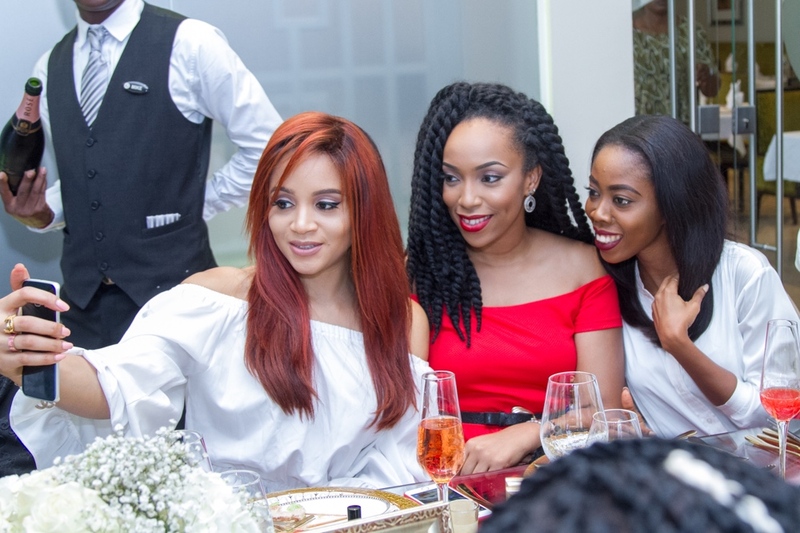 smh. 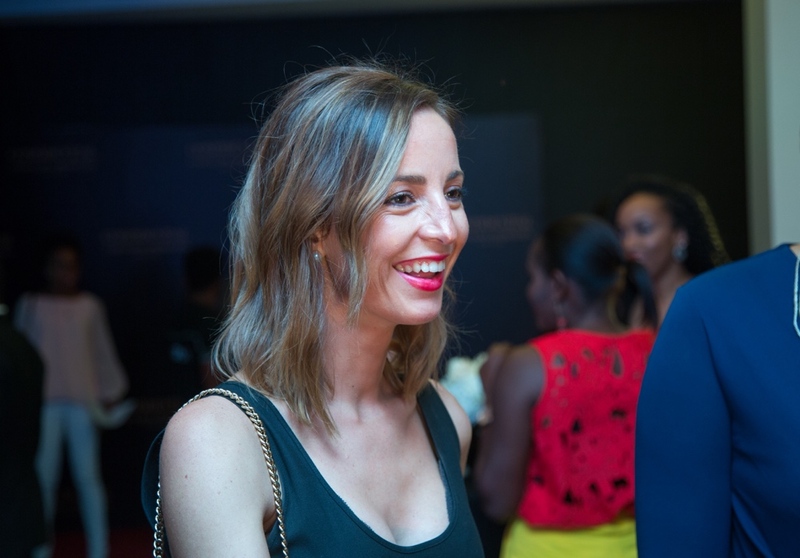 Try and be happy for others’ achievements. 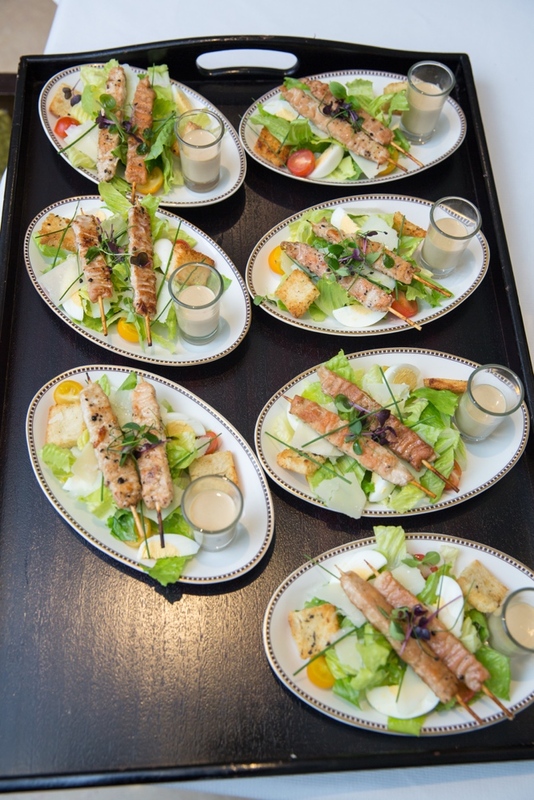 Try a little bit. 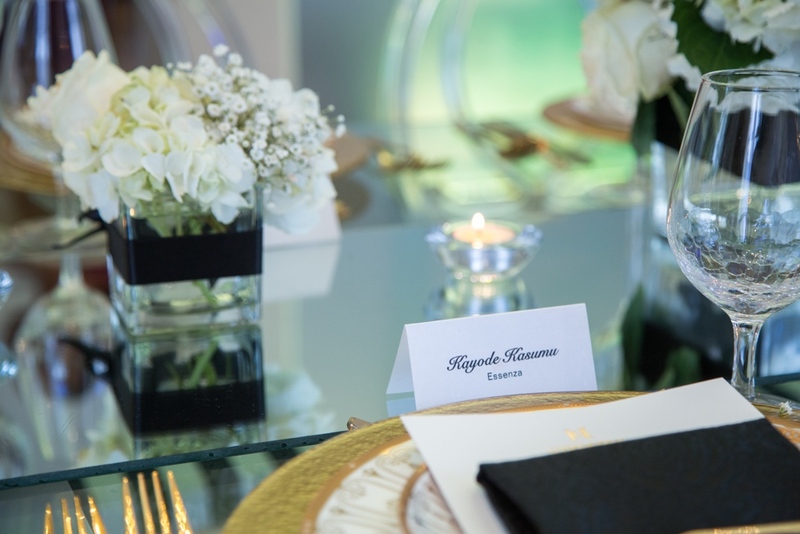 It’s not that hard is it? 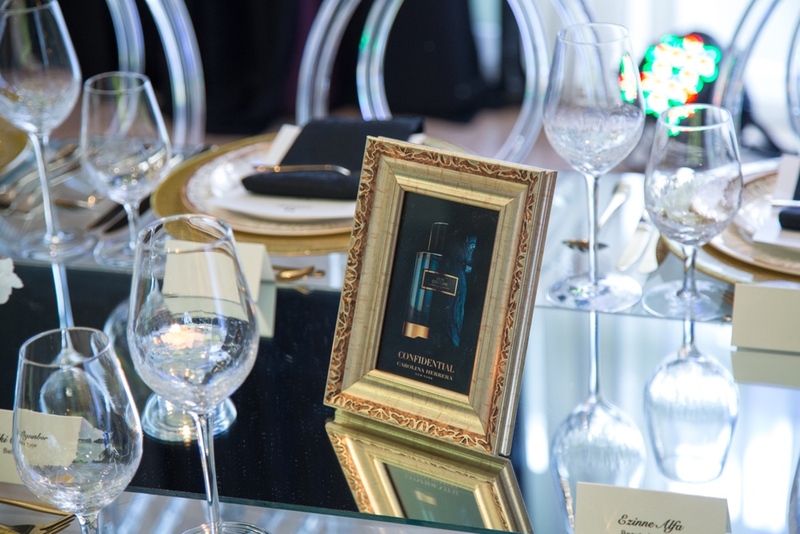 I work in the Luxury beauty business and I can tell you categoricaly that CH sells better than even the most luxurious brand you might think is greater. 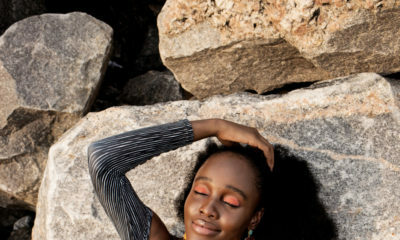 Stop assuming because you don’t wear it!!! 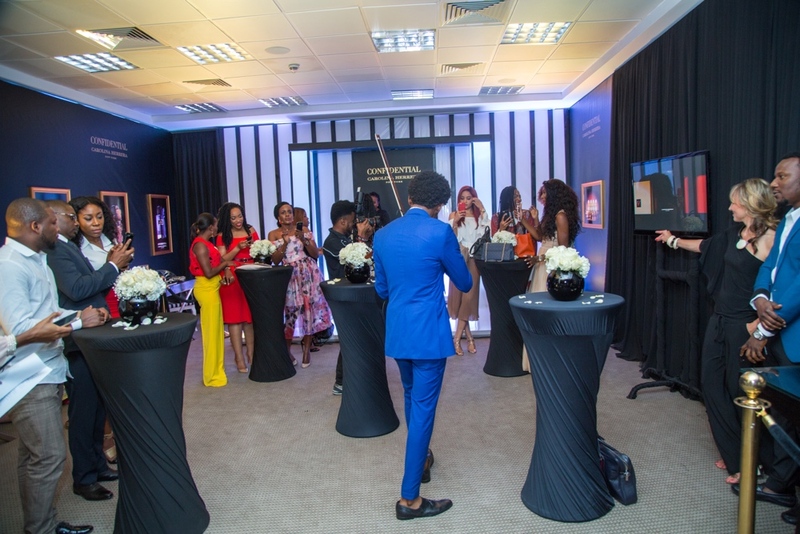 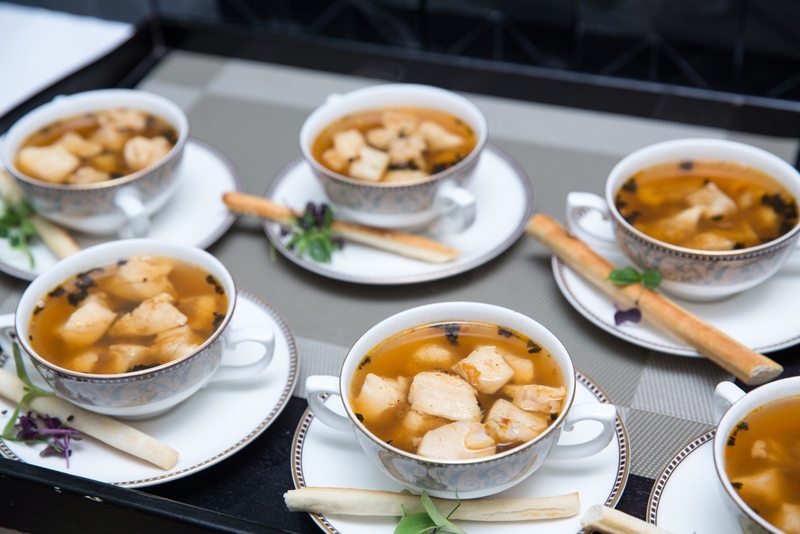 This is just a product launch and they spend such a good amount on it..(obviously, from the ambience and quality of the event), so you can imagine CH has a very good market share. 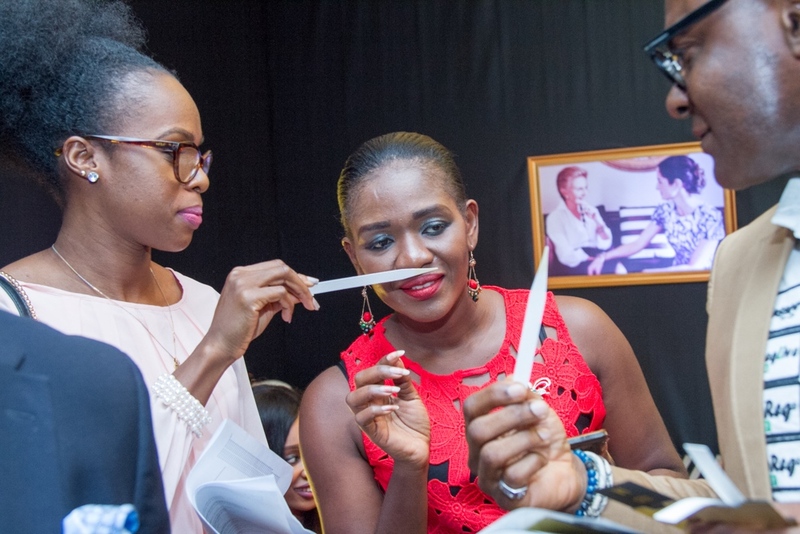 but its scents naa….how does that affect size 0-4?? 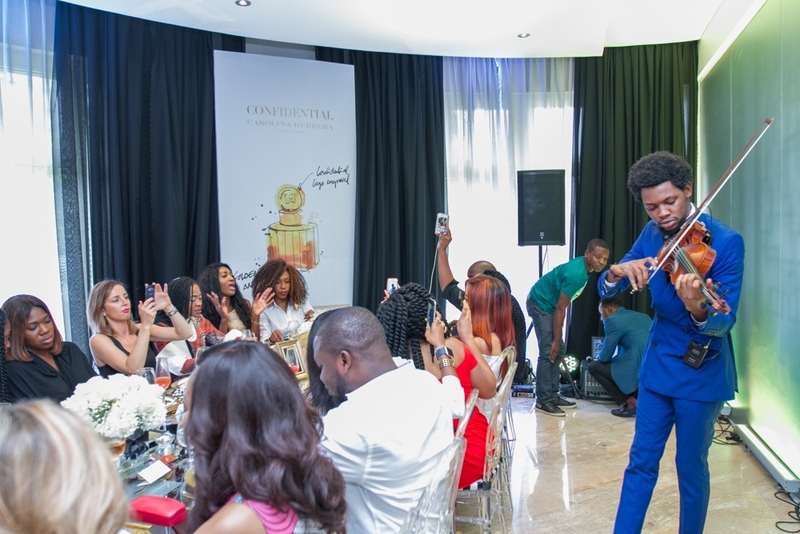 Na fragrance them dey launch Fleur no bi clothe o!